About Matthew: Matthew graduated from Cal State Monterey Bay in 2005 with a B.A. in Liberal Studies. Growing up in the local area, he transferred to Cal State Monterey Bay because it allowed him the opportunity to remain close to his family, and he also enjoyed the idea of being part of a new and developing campus. He first realized he had an aptitude for helping students and their families learn more about college while working as a tour guide his senior year at Cal State Monterey Bay. Aside from work, he enjoys collecting vinyl records, playing basketball, and going to an occasional 49ers and Golden State Warriors game. Favorite Place on Campus: View from the tee pad at hole #9 on the Oaks Disc Golf Course. About Antoinette: After graduating from California State University Monterey Bay, with a B.A in Human Communication, Antoinette joined the admissions team as an admissions counselor in September 2014. She previously worked as a student assistant and tour guide for the Office of Admissions as well as the Community Outreach Coordinator for the Cinematic Arts and Technology department. Although Monterey was far from home for Antoinette, as she is originally from Los Angeles, she knew Cal State Monterey Bay would be a great fit for her because of the small class sizes, her opportunity to be an athlete, and her #1 reason, the clam chowder! As a student Antoinette enjoyed her time playing sports, attending class, performing in plays and student projects, as well as writing, directing, and co-producing a play for her senior capstone project titled “A Race Through Time,” that focused on human rights in the African culture, from the West African slave trade to current day America. When Antoinette isn’t at work, she enjoys eating, traveling, shopping, and lazy Sundays. Favorite Place On Campus: Monte's restaurant and the gym in the Otter Sports Center. Territories: Alpine, Butte, Colusa, Del Norte, Glenn, Humbolt, Imperial, Lake, Lassen, Los Angeles (South), Mendocino, Nevada, Orange, Plumas, Santa Barbara, Santa Cruz, Santa Clara, Shasta, Siskiyou, Sutter, Tehama, Trinity. About Elizabeth: In 2011 Elizabeth came to California State University Monterey Bay as a freshman. Being a first generation student, she didn’t know what to expect from college, but here she found all the support that she needed to succeed in her academics. Four years flew by, and in 2015 she graduated with her Bachelors of Science in Kinesiology and now she is one of our admissions counselors. 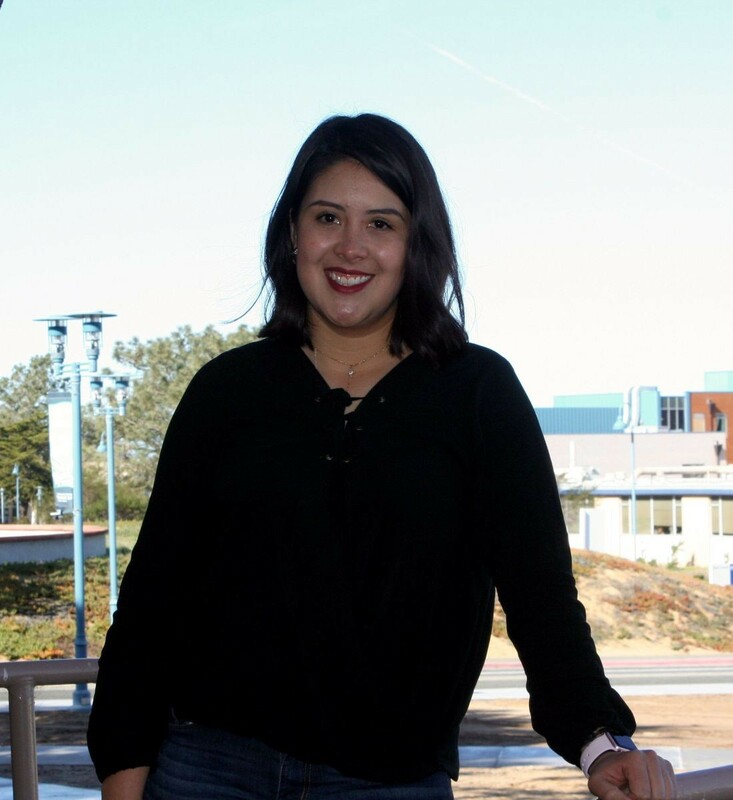 In her position, Elizabeth is eager to help future students learn about what makes CSUMB such a great school. Her favorite thing about the university is the numerous opportunities available for students to study abroad and to participate in exciting hands-on research. As a student, Elizabeth made her dream of studying abroad a reality. She studied in Puerto Rico for one semester, and also went to Yucatan, Mexico for a summer to conduct research with select Mayan communities. She describes these two as some of her “most amazing, life changing, and also fun experiences ever”. Outside of CSUMB, Elizabeth also loves traveling, hiking, going to the beach, and playing with her pets: Bambi, Rex, Bunny and Tita. Favorite Place On Campus: Monte’s Restaurant (loves their garlic fries), and the aquatics center.